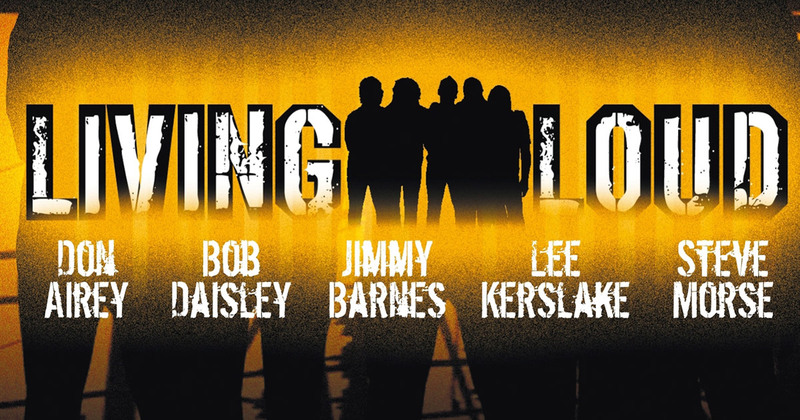 Official band site dedicated to the music of Living Loud—a group of rock legends who came together in 2003 to make the self-titled album Living Loud. 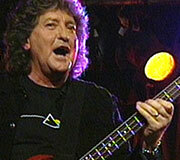 The project started as an idea of Bob Daisley’s more than ten years before it came to fruition. He and drummer Lee Kerslake often spoke about reworking some of the songs from the classic rock albums they had co-written, co-produced and performed on with Randy Rhoads and Ozzy Osbourne in the early ‘80’s. Those albums were ‘Blizzard of Ozz’ and ‘Diary of a Madman’. With a desire to record a hard rock project based around these two albums, plus the infusion of a number of new tracks in the same mould, Bob assembled a superstar line up that recorded at Greg Rike’s Studio in Florida and at Air Studio in London. 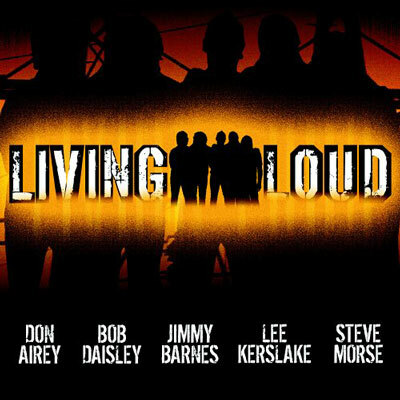 When Jimmy Barnes, Steve Morse, Bob Daisley, Lee Kerslake and Don Airey came together in late 2003 to record their debut self-titled album, Living Loud, little did they know what level of interest it would attract. In early 2004, websites and press around the world celebrated the formation of rock’s latest supergroup and eagerly awaited the release of the album! Bob co-produced the album with producer Darren Schneider (Deep Purple, Matchbox 20, Creed) and the project created some of the most inspirational new rock tunes recorded in many years. The album took just 15 days to record and was mixed and mastered at Metropolis Studios in Melbourne. 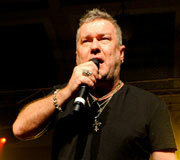 Australia’s Number 1 rock vocalist for over 20 years with a string of number 1 albums throughout his solo career and with his band Cold Chisel. Jimmy also has one of the highest selling albums by an Australian artist in history with ‘Soul Deep’, which was followed up in 2001 with the hit album ‘Soul Deeper’. 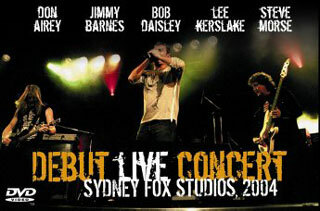 Jimmy has also recorded with genuine artists including INXS, Tina Turner, Joe Cocker and Bon Jovi to name but a few. Living Loud was a dream of Bob’s for many years. 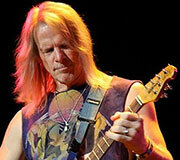 He is also a 6 times Grammy nominee, and has been a guitarist with The Dixie Dregs and Deep Purple. Steve Morse is without doubt a supreme guitar virtuoso. 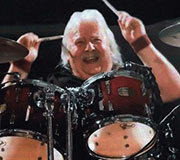 Since 1971, drummer Lee Kerslake has been the backbone of rock greats Uriah Heep. Lee also recorded with Ozzy Osbourne. He is responsible for the drumming on the classic albums ‘Blizzard of Oz’ and ‘Diary of a Madman’. Having played on some of rock music’s biggest selling albums (Whitesnake’s ‘1987’ – Gary Moore’s ‘Still Got The Blues’) and notching up almost 200 album credits, Don took over the mantle of keyboard player for Deep Purple. 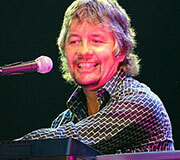 Among others, Don Airey has played with Ozzy Osbourne, Gary Moore, Rainbow, ELO, Katrina and the Waves, Cozy Powell, Colleseum, Whitesnake, UFO, Judas Priest, and Black Sabbath. For the Australian media launch of LIVING LOUD, the 5 legends came together for a rock tour de force which shook FOX Studios, Sydney, to its foundations. A virtuoso performance of hard-hitting anthems from the pinnacle of heavy rock history and a breathtaking presentation of new material highlighted the talents of five heavy rock icons. On this special night, in this amazing place, the cameras were rolling.